While listening to the explosions that are a constant part of life in the Kandyan foothills as are the depletion of our springs, and the and complete degradation of a once-lush environment, one cannot but hark back to a time when residents of Sri Lanka took for granted the steady food supply off the land. Jak (Artocarpus integrifolia) in the form of polos, kos, vela and waraka was simply a part of the day-to-day reality of the diet of everyone beginning from the poorest peasant to the richest member of the “gentry”(radala). Its cousin, breadfruit as well as its more exotic kinsman, wild breadfruit, were only marginally less common as a part of a peasant diet. The variety of root crops such as sweet potato, manioc, the various alocasias (ala-kola) that grew in a mid country garden were only limited by the amount of moisture in any part of that ground at any given time. The now-fashionable leaf vegetables were there, literally, for the picking. And today? Even those with jak trees in their home gardens are reduced to buying what is sometimes touted as the answer to the problem of hunger in the tropics, off the roadside vendors in some small country town or off the pavement reserved for pedestrian traffic in an urban centre. And that is simply a statement of bald fact, not some exaggeration in technicolour by a city-dweller to whom rural Sri Lanka is some kind of romantic fantasy. The macaque monkeys, the population of which has, without exaggeration, exploded, defy the old belief that when the food supply of a species diminishes, their fecundity declines to an equivalent extent. I never tire of telling the story of how, as the pre-teen son of a land-owner, I would leave home early enough to be under the trees in the single patch of jungle on the family land-holding, before day-break. Me and my trusty little .22 rifle were on what amounted to a monkey-safari in Central Sri Lanka (or Ceylon as it was then). However, I do not recall one instance when one of these excursions was successful! Today, the macaques will, literally, husk coconuts while sitting in the crown of a palm, and throwing firecrackers at them only works on the first couple of occasions! And I’ve heard, times without number, how much more aggressive troops of macaques are to unaccompanied women than they are to men. In fact, many women rubber-tappers in this area will not go out in the gloom of daybreak without a male companion. Not only is the breadfruit targeted, the simians absolutely relish the tender shoots (“dhel ballo”) of this wonderful source of nutrition. The resulting defoliation causes die-back of the branches and, ultimately, the death of the tree. This is a simple statement of fact and, except where there are human beings on duty throughout the daylight hours, shooing these pests away or throwing sticks or stones at them, the breadfruit trees die. Our original population of a dozen trees has now been reduced to a couple, off which, if we are lucky, we get a few fruit that can be curried or chipped and fried. The only fruit that appeared to be safe from pest-depredation was that of Lunumidella (Melia dubia). That olive-resembling fruit has a thin pulp covering that is bitter as gall. Recently however, I saw a few of these fruit completely shredded and was informed that this was the work of a hungry porcupine. Take a nibble on a lunumidella seed sometime and you’ll know what “bitter” really means! Recent examination of why some of our most luxuriant pepper vines were dead revealed that the earlier-mentioned porcupines had been in the process of eating the roots of and ring-barking the gliricidia on which the pepper vines were growing, inadvertently or otherwise, biting right through the vines in the process. Not a good outcome for someone trying to make a few rupees off one of our few remaining spice assets! The bases of the Gliricidia poles on which we grow our vanilla and pepper not only attract porcupines seeking sustenance from the bark and the roots, but the leaf mold and dry leaves we place at the base of these uprights for the benefit of our vanilla and pepper vines acts like a magnet for the wild pigs looking for grubs as well as edible bark. The pig population has grown beyond belief in this area and the explanation I was given for this made eminent sense. During the time of Sri Lanka’s last agricultural “revolution” there was an exponential growth in the use of insecticides and weedicides, without any attention being paid to the downside of their misuse. The fresh-water crab population has not only pretty near disappeared, it has taken the jackal population with it because these crustaceans comprised one of their favourite foods and a (dead) crab population lying around, literally, for the picking, was too good to resist. Result? Not only the decimation of the freshwater crab population but that of Sri Lanka’s only wild canine! In the better than dozen years I’ve been back in the Kandyan foothills I haven’t heard what used to be the familiar howl of a jackal even once. It’s hard to discount that kind of circumstantial evidence. The destruction of trees providing a dense enough canopy to break some of the erosive qualities of the often-times deluge-like rainfall has resulted in what little topsoil there was originally being washed away, the springs drying up to the point that a neighbourhood squatter colony was recently reduced to drawing their drinking water supply from our meager, though carefully-husbanded, spring supply of water. This is part of the land that supported several hundred resident workers with each set of “lines” having its own separate supply of water adequate for consumption and for the daily bath, which is almost a religious observance in these parts! Granite is not going to grow back. The sand that is being mined from our streams is not going to be replenished from a supply from the heavens above. The springs that have disappeared thanks to abuse of the land surface, hugely aggravated by the incessant blasting that makes the very controversial fracking that is a part of oil exploration in some parts of the world pale into insignificance, are not going to miraculously begin gushing H2O again. What is being done amounts to permanent damage that is not going to be alleviated, leave alone repaired, in eons. We might still be able to salvage something out of this corruption-driven mess and even a little bit saved is better than nothing. Stop this megapolis-mania even now. The only people it benefits are the “commission-kaakkaas” attached to the underbelly of this nation. Let me end this piece with what I hope you will consider an appropriate anecdote. A veterinarian with international experience gathered colleagues of similar background and laid out a project for monkey control (chemical sterilization?) which in no way contravened Buddhist precepts. The document was handed to the Minister of the Environment on whose desk it has sat for lo these many years, unacknowledged, leave alone acted on. And who, you might well ask was and is the Minister of the Environment? Two-word answer: Maithripala Sirisena. Thank You EvdP for this ‘state of the nation’ on the fast-depleting assets of the rural environment. As always, the finger points to the very top. Failure to take a decision at the top means the rot sets in lower down. I’d like to say something positive, but I am weary and too long in the tooth to say anything but ‘we’re buggered’. Especially if we don’t change, and soon, the clowns that inhabit the leadership of our political milieu. (where were you all this time)? Mr. Emil van de Poorten: Excellent presentation. Sri Lanka is a small (a “DOT) island in the Indian ocean. The whole “TROUBLE” started with our Political Leaders started thinking “BIG” and directed the country to “Wear”, “OVER SIZED SHOES” that bear “Signature Brand Names” which are used by “RICH” Nations and countries. In short, we were PUSHED to be “COPY CATS”. Take a look at our Parliament with 225 Legislators and a “Mega Cabinet” (numbers keep on increasing). Do we need that for a population of 22 million? Another “Project” the National Carrier – Sri Lankan Airline. Do we NEED 190 “TOP RANKING” officials drawing “Millions” PLUS “Perks” but still a Huge Burden on the Treasury. Outside, all that, the PEOPLE in general. Do they have learned to live within their means? Do they KNOW how much they are in “DEBT” now and in generations to come? All this MISERY is due to not knowing “SMALL IS BEAUTIFUL”. When and Who will bring that principle into practice is the question.Till we learn “SMALL IS BEAUTIFUL” our agony and despair will grow in leaps and bounds. That is our DESTINY- “KARMA”. Great article Emil. Keep going. You are talking about depletion of WAter fountains. Sri lanka has about 40,000 reservoirs, water wells, and many things to say that Sri lanka has developed water management system which was developed by ancient kings. But, nowadays all the water that Sri lanka is polluted with pesticides or fertilizer and people have to carry their own personal dialyzer to clean their kidneys. That is the true situation. But, I saw two foreign donkeys including one woman handing over the president a reward for GOOD WATER MANAGEMENT. I think that is for promoting the bottled water industry and probably president will hand over one whole river to beverage industry to destroy it. In here, they ban the use of plastic bottles and they promote tap water. I think the depletion of fountain water is because of introducing foreing tree speicies I heard. HEre, they promote native everything. Sri lanka need everything imported because it is money for the minister and businesses like it. Unfortunately, your angry, inaccurate response to a very serious problem does NOTHING in the matter of providing a solution to it. 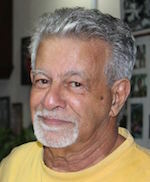 When Gamini Dissanayake, who was “cultivator” only by caste, pushed his accelerated Mahaweli Development Scheme, there was at least one eminent scientist, David Suzuki, who pointed out what applying large amounts of water indiscriminately to salt- and other chemical-bearing soils could do. Running in circles blaming the “west” for such as Chronic Kidney Disease of Unknown Aetiology is nothing but the kind of science that, ultimately, rests on the black arts. Another lansi attack on Sinhala culture, technology and civilisation? Yes, it is a fact that the ancient Sri Lankans mastered flying long before Dutch capuchin monkeys came down from the trees. Capuchins feel inferior when they are faced with our achievements and it is this inferiority complex of the capuchin monkeys that destroyed the world over the last 500 years. Our flying machines are known to have had long antennas also, and they did not keep ‘common law wives’! I have to admit that it is sometimes difficult to decide whether you have won the competition for “Idiot of the week” or not, particularly when the other competitors could well be you writing under yet another pseudonym from under yet another rock. Huh huh huh huh haaa haaa…….. I have a water fountain and I don’t mind opening the tap if the cockroach is thirsty. Add to it: “What is “progress?”. Emil, I agree with you. Not only monkeys but wild-boar in numbers maraud on my coconut property in Alutwela! When we were in TCK in the ’50s, use of fire-arms were permitted for the protection of property and sport. Now, those old fashioned .22s, 9 MM Mausers, 12 bore shot-guns that we had have been replaced by machine pistols and other military style weapons in the hands of ruthless killers who say that animal life is sacred, but take human life without remorse. So the monkey, pigs, porcupines eating Jack fruit, Del and pepper are signs of a ‘failed state’? Signs of a declining brain with no grey matter. When is the antenna going to be extended for better reception (and service)? How many pseudonyms do you use in the (unsuccessful) effort to conceal the cesspit within your cranium? You are showing undue respect to people who write such drivel by responding to them. Respond, if necessary, to those who talk sense. While you do have a point, it is also necessary to keep those dwelling in the gutter in their place and not letting them think, for a moment, that they have intimidated the civilized into silence. I do believe also that CT which is an excellent (the only?) forum for the discussion of issues of importance needs to devote more of its resources to censoring the filth that some (most?) of these critics spew. Comments by SJ and Emil van der Poorten prompts me to make a studied observation on the issue raised. Without a doubt, civility needs to be maintained by everyone while making comments on CT posts. Iit must be pointed out however that often it is the vitriol of the writer that initiates the tone of commentary and comments. 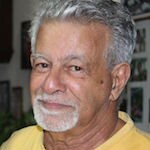 As an example, a writer who makes insulting remarks about Buddhism, Sinhalese and the Sinhala culture may provoke similar comments by readers who will identify the ethnicity and other background of the writer. I have seen this issue mainly with Mr Poorten’s items to CT. As a Sinhala Buddhist with liberal leanings, I am offended by his ignorant, subversive views on Buddhism. It is ironic, and in a way cowardly that Mr Poorten is proposing censorship by CT. It must be pointed out that under reasonable standards, more than half of his item will have to be censored on grounds of decency. Therefore I propose that CT imposes equally stern standards for item writers as well as commentators. Your insistence that the “Sinhala Buddhism” currently in fashion among the self-appointed defenders of “2500 Years of Sinhala Buddhist Civilization” in Sri Lanka says it all. Where in the teachings of Prince Gautama has it even been suggested that one ethnicity and one so-called “superior” caste should dictate what is and is not practiced in the name of Buddhism? That is precisely what we are faced with in this country. If the stating of that FACT is upsetting, I’m sorry, but I thought we were dealing in the reality. of the Siam Nikaya that dominates in this country being restricted to the cultivator caste. Is it not? Could you tell us in simple language where this is justified, in any shape form or fashion, in the teachings of Prince Gautama? Also, since you have made the accusation, would you please indicate where there is a lack of “decency” in anything I have written at any time? I do note that you are another who chooses to use a pseudonym in order to conceal your identity. Says something about “a readiness to stand up for what is right” does it not? Cultures and Religions can withstand the vilest of attack. But that is no case for such attack. There is case for criticism (not crude insult) of what happens in their name. There should always be certain norms of communication in all matters. Personal insult, slander, irresponsible charges that constitute character assassination and other such things should not be encouraged. Respecting faiths is important, but when mischief is played in the name of a faith, that has to be criticized. Criticizing corrupt practices is not criticizing a faith or a people.